Pilots tend to be Type A personalities, dedicated and goal-oriented. That’s a useful asset for a student, but once the check ride goal has been successfully achieved, the structured learning environment vanishes. Gone are the syllabus, instructor, and PTS. The fresh-faced aviator is released (or should that be “pushed”?) out of the nest like a baby bird being forced to fly. It can leave him or her wondering what comes next. Sure, you’re free to go to the airport and take wing. But to where, and for what purpose? There’s always the 100 dollar hamburger, but you can only do that for so long. 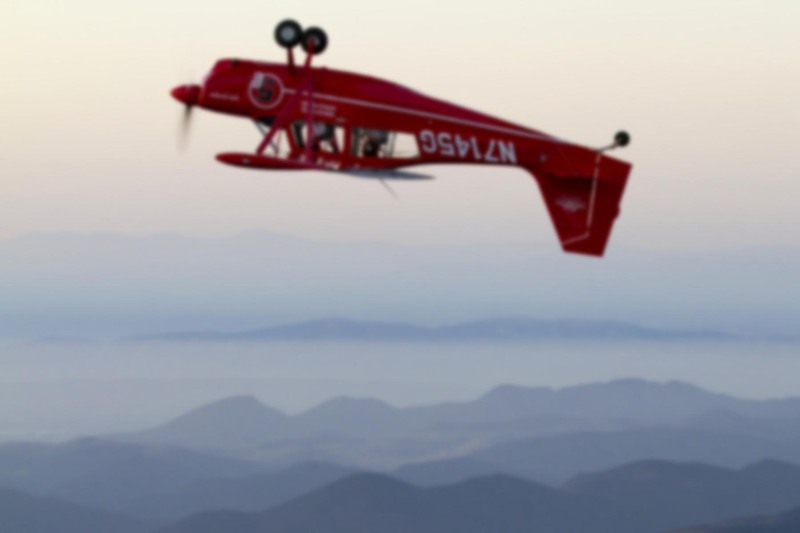 Advanced training is another possibility, whether that’s aerobatics, another rating, or an endorsement of some kind. 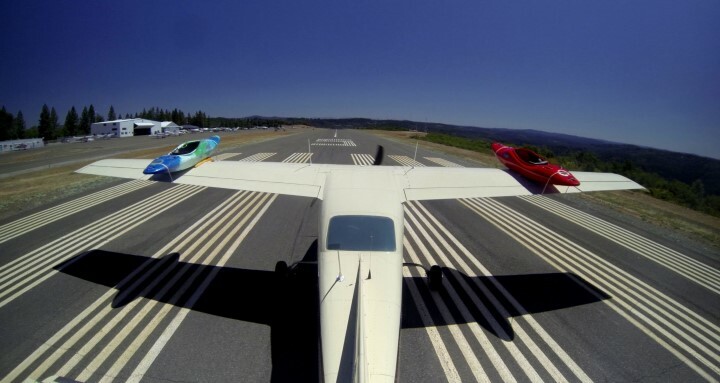 But sooner or later, even the most ambitious and well-funded among us is going to leave the schoolhouse and enter the big bad world of self-directed flying. The transition is not always smooth or easy. Some pilots have a surprisingly difficult time with this divergence in the proverbial road, unable to figure out what to do or how to use their skills in a way that keeps their own interest piqued for the long-term. Others never develop sufficient comfort with solo flying to spread their wings even after they earn them. These are prime candidates for dropping out, pilots who may slowly disappear from the aviation scene. I hate to see that. One way to solve the problem is to expand your horizons by going places. Not only is it interesting, but it builds confidence for those who lack it. And that’s where a friend of mine comes in. Ney Grant and I go back about fifteen years. We were both active members of the Cessna Pilots Association and came up through the ranks together. Both of us owned Skylanes at roughly the same time, but I ended up taking the professional career route, whereas he moved up to a six-seat Centurion and passed the years doing exploring the western United States to a degree few other C-210 pilots can boast. Ney recently asked me to take a look at a book he’s written which details his most notable destinations. I don’t normally expect much from self-published work. Anyone can put out a book these days, but the democratization of publishing does nothing to assure quality. Take a look at a random blog and tell me I’m wrong. Thankfully, Fifty Classic Destinations for Pilots was a pleasant surprise. I’ll put it this way: the book was pretty enough that I didn’t take it on the road. It was a little too nice to let it get creased and bent up in my already overstuffed computer bag. But I did read it after returning home and it’s much bigger and more professional looking than I was expecting. I’ve traveled to quite a few places and was for many years a subscriber to Pilot Getaways, not to mention the countless aviation blogs and magazines that come across my desk. But Ney managed to hit on quite a few spots I’ve never been to, many of which are in my own back yard. Some I’ve never even heard of, while other destinations I know well. I can’t begin to count the number of times I’ve been to Catalina, Las Vegas, or San Luis Obispo (my wife’s from SLO). It was fun comparing spots I’ve been to with his coverage of fresh destinations. I enjoyed the mix of airports, too. Some are quite urban, others border on bush flying, so there’s something in there for just about everyone. And since Ney flies a Centurion rather than a Super Cub or other off-road-ish vehicle, the spots are accessible to most GA pilots. The Centurion has many wonderful qualities, STOL performance is not one of them. If Fifty Classics was comprised purely of dry destination content, it wouldn’t stand out from the crowd, but it includes personal travel stories, off-beat encounters, lesson learned, and so on. On one adventure he describes getting sick in mid-flight and diverting to Reno. I think it was food poisoning — something I’ve had the bad fortune to experience while flying. In fact, I’m planning a post about that in the near future. These little stories help break up the travelogues and add a personal touch you don’t find in most books. This is not a Photoshopped image. But I assure you there’s a simple and logical explanation in the book. Travel and destination material aside, I enjoyed following his sometimes painful growth as an aviator. For example, he landed at the famous Chicken Strip, only to learn that it’s probably not a place he was comfortable with in the 210. Or another story where he took off the top of a tree while landing an a familiar but high density airfield. It also adds a sense of realism to what he’s doing. It’s not always sunshine and roses; there are risks to be considered! Speaking of which, I won’t spoil the ending for you, but one tale involves lashing kayaks to the top of each wing before taking off. Apparently that one has generated some feedback from the inter webs. Ney’s photographs are not just of airplanes, airports or terrain, but also of family, pets, friends, volunteers, and so on. It speaks of a richer experience than just going somewhere for vacation or to climb a mountain (although he does plenty of that, too). Finally, the quality of the writing and the way the volume is organized belies the self-published nature. The design looks and feels more like a book that’s had a professional editorial staff working on it. The color scheme, typography, and overall layout are excellent. Most of my experience publishing is web-based, where typos, photos, and layouts are easy to fix, but even I can see that Ney put tremendous time and effort into Fifty Classics. Ney notes in the forward that he has flown more than 150 different adventures to date, so I assume he’s got material enough for at least one more edition. I look forward to seeing what he comes up with. If you are a pilot in need of ideas and inspiration, or know someone who is, I recommend this book. The $100 hamburger (and its siblings, the $200 cheeseburger and $300 BBQ bacon cheeseburger) are certainly classic. Food and flying have been going hand in hand since the airplane was invented. In fact, if you look closely at that famous 1903 photo of the Wright’s first flight, you’ll notice Wilbur has stashed his lunch under the bench so he can run chase for Orville. OK, maybe not. But your point is well-taken. I think I got tired of it because most airports do not have a decent restaurant on the field anymore, so the list of local destinations with good eats is small. Many of the airport-based restaurants still around have very limited hours (EMT, POC, HHR, AVX, etc.) or have closed completely (Elephant Bar at SBA, for example). I look forward to reading the book and second (third? fourth? fifth?) Ron’s comments about those of us who have been flying for awhile needing places to go. For me that challenge was significantly solved several years ago when I joined Angel Flight West (AFW), (www.angelflightwest,.org) a volunteer pilot organization that arranges free air transportation for non-emergency medical and other compelling humanitarian reasons. AFW serves the 13 Western States but there are similar groups across the country. Angel Flight is a very worthy organization. I flew AFW missions for a few years when I had a Skylane and it was some of the most rewarding flying I’ve ever done, not to mention being a great excuse to fly to places (China Lake, anyone?) that I never would have visited otherwise and build high-quality PIC time.